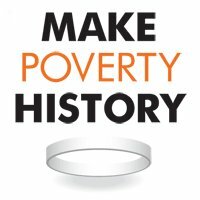 Thank you for taking action with Make Poverty History. I used the postal code you suggested and it let me sign no problem!! Thnx Cher my friend!! I FB it and sent it to my FB friends, too!! Noted and email sent and signed. Thank you very much Cher. Couldn't sign because not in Canada. Would sign if I could. Make corporations pay their fair share then this message might hold water. Noted and signed. Now for the US and the rest of the World. Signed and noted. I realize that people living in Ontario likely have more impact in signing this petition. However, being Canadian poverty in Ontario (which is one of the most populated provinces in Canada) impacts all of us. We all count when signing petitions. I can't sign, but do wish you well with it. Signed, noted & posted to FB. Thank you for posting this very important article. NOTED - not allowed to sign vis-a-vis not being Canadian citizen. However: my maternal grandfather emigrated from Napanee, Ontario, in the early 1900s specifically due to poverty - his little brother had recently *died* from a combination of malnutrition and dysentery - and his mother who'd recently immigrated to Canada from Wales had been abandoned by her husband, the kids' biological father. My grandfather fought against injustice and poverty's harm for others all his life. Only those that have gone hungrey, know the pain.